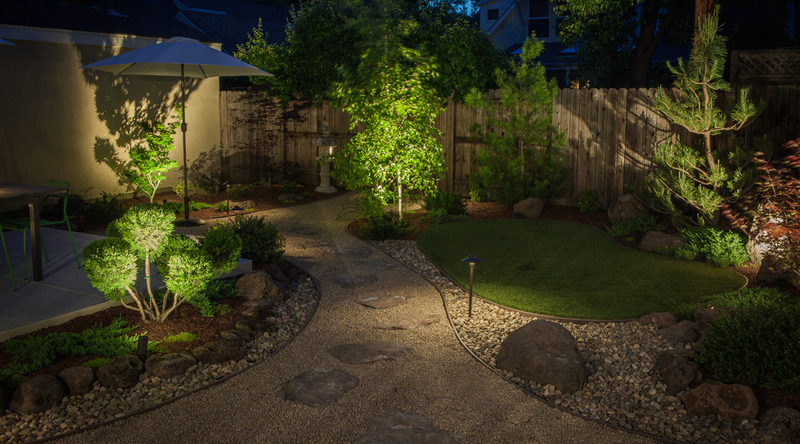 From walls to landscapes, here’s how the right lights can put the great in great outdoors. 1. Frame the front entrance. Flank your front door with a pair of matching outdoor wall sconces for an inviting and well-lit entryway. By properly illuminating the entrance to your home, the light provided by one or two outdoor wall sconces will safely guide family members or guests while creating that warm and welcoming curb appeal. If you only have space for one, use the side with the keyhole and door handle. 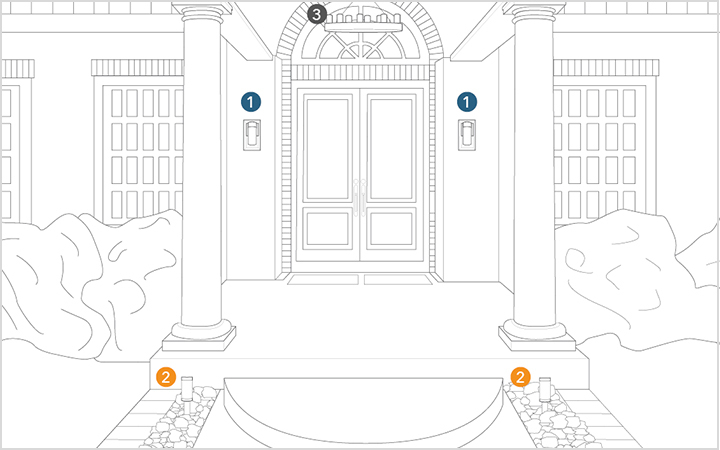 As a sizing rule of thumb, each light should measure about one-fourth the height of the door. If you prefer overhead lighting, opt for an outdoor pendant with a generous spread of ambient light. When using wall and pendant lighting together, choose pieces that complement one another stylistically for a consistent outdoor theme. Whether you use sconces, a pendant or both, you’ll want to ensure this space is brightly lit so the entry to your home is safe and secure. Avoid fixtures that leave the space feeling dim. 2. 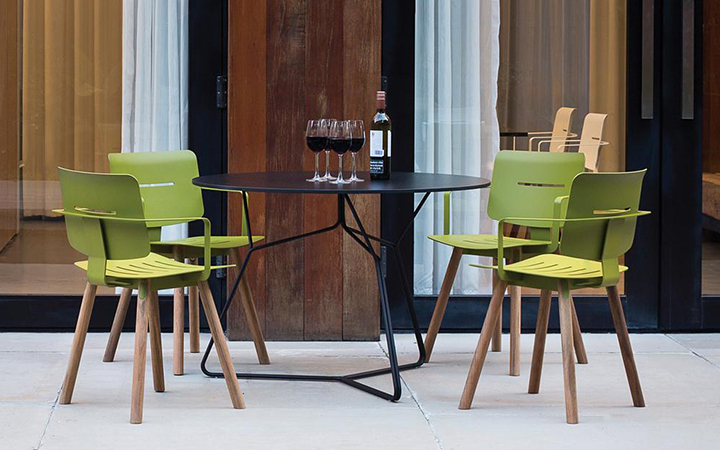 Create an outdoor room. Adding indoor-style lighting designs to your outdoor space helps define the exterior into its own “room,” while also creating a smooth transition from the inside to outside. Pendants, chandeliers and portable floor lamps that are wet rated (more on that below) replicate the comforting feeling of relaxing indoors, and will encourage you to linger outside on spring or summer nights. 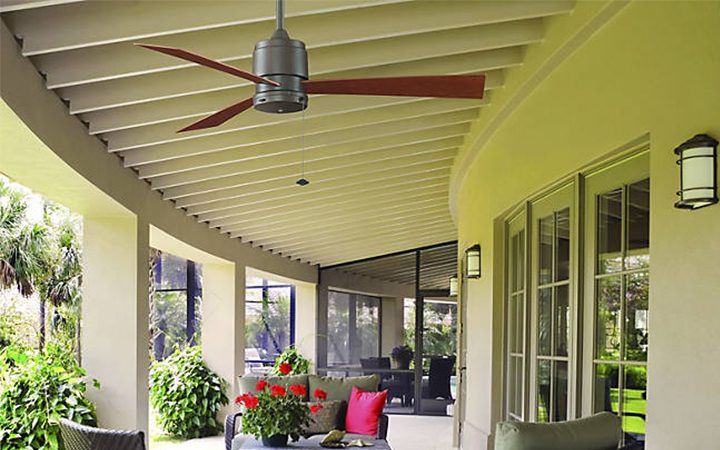 You can even add a ceiling fan for a built-in breeze under a covered porch, pergola or gazebo. 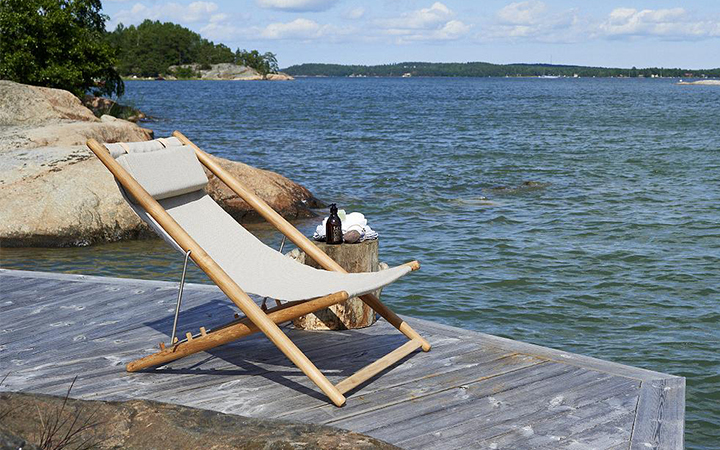 To determine if a light fixture is safe to use outdoors, you’ll want to look to its UL rating. Read more: What do UL ratings mean? 3. Make use of portables. If you rent your home or just like the flexibility of rearranging your outdoor area at any given time, plug-in or rechargeable lighting designs are a great alternative to hardwiring fixtures. 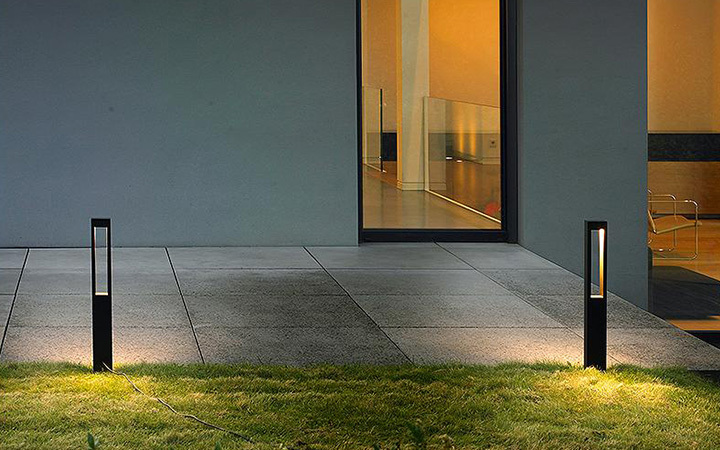 Many designs are offered with different accessories as well, adding more versatility to the application and location of the lights in your outdoor landscape. The Santorini Indoor/Outdoor Plug-in Pendant by Marset, for example, is a plug-in pendant that can be used as a wall sconce, pendant or floor lamp. 4. Do a lot with a little low-voltage. You can even start small and upgrade your lighting plan along the way. If you want to start with just a few patio lights, purchase a transformer that can handle more wattage than you plan to use immediately. As you design or add to your landscape, you can bring in additional lighting up to the maximum wattage of your original transformer. 5. No landscape? No problem. Just as spotlights or floodlights can highlight architectural details or environmental aspects of your property (trees, statues, pillars, etc.) 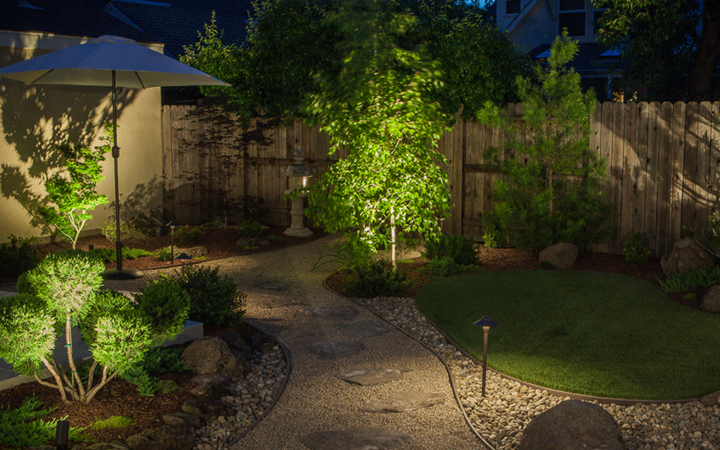 your house can equally serve as a landscape for outdoor lighting. Choose outdoor wall lights that rely on indirect and silhouetted light—these will light the wall as much as a sconce or floodlight would, while adding an interesting design element that doesn’t require a fancy landscape.